Even with the introduction of new smartwatches, Fitbit has shown resilience in the past few years maintaining the top spot in the wearable market. Unfortunately, that’s no longer the case according to the latest report from Strategy Analytics. Apple has taken over the number 1 spot and to rub salt into the wound, Fitbit is also overtaken by an affordable Chinese rival. According to Strategy Analytics’ Q1 2017 figures, Fitbit has sold just 2.9 million wearables and they command a market share of just 13.2%. A year ago, they had sold 4.5 million units with a market share of 24.7%. 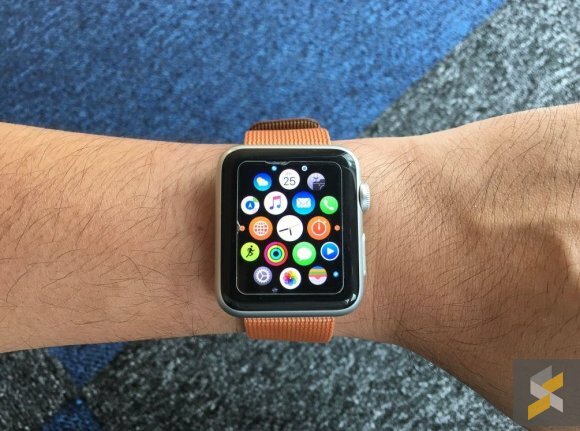 Meanwhile, Apple has sold 3.5 million watches followed by Xiaomi at 3.4 million units. It appears that consumers are more receptive towards Apple’s new Series 2 watch while Xiaomi’s Mi Band is still doing rather well due to its competitive low pricing. Although there are more wearables sold in the first quarter of the year, the overall segment is slowing down posting just 21% growth year on year. Fitbit knows that it can’t rely on fitness bands in the long run and they have plans to launch a proper smartwatch of their own. Unfortunately, their new smartwatch has been delayed and it won’t launch until later this year. The Fitbit smartwatch is said to come with a bright 1,000 nits colour display, built-in GPS, heart rate monitoring and a battery that can last up to 4 days on a single charge. Fitbit’s biggest strength is its community and the struggling company hopes that by having a smartwatch, it could turn their fortunes around.